Wearable tech is all the rage right now. As technical components become smaller, faster, and better than ever, everything from health monitoring to computers are getting wearable versions. As a result, these products have the ability to carry out the functions of larger and bulkier equipment without all the messy wiring. 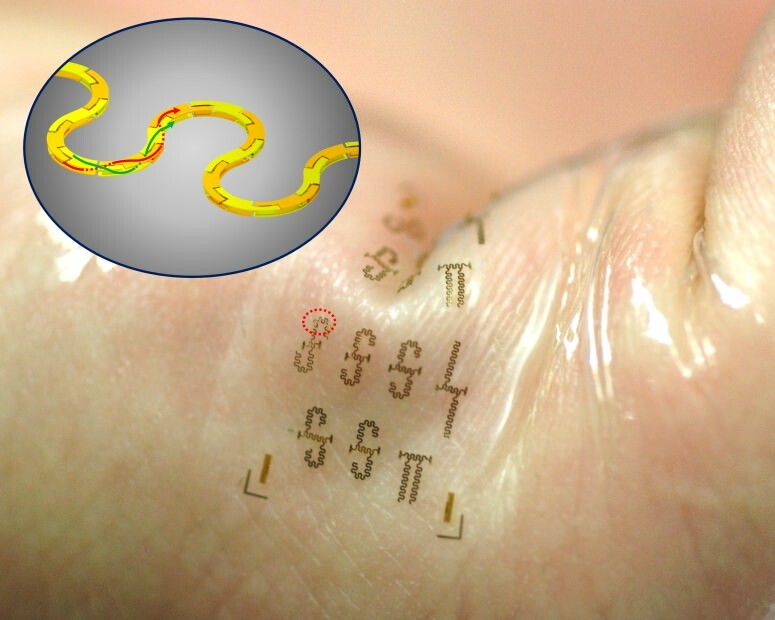 Now, new research from University of Wisconsin-Madison unveils what is possibly the quickest, most flexible, wearable integrated circuits (ICs) in the world: stretchable transmission lines capable of delivering microwave signals. The key to the new ICs is both a twisted-pair design and a serpentine structure. The twisted-pair design is copied from twisted-pair telephone cables, while the serpentine structure allows the product to stretch without losing performance value, and helps to avoid outside interference. The serpentine structure also removes the concern of current loss, maintaining a strong signal, which holds currents that are able to operate at a radio frequency of up to 40 gigahertz. The final advantage the new ICs give is in terms of width– they are able to boast a thickness of only 25 micrometers. This kind of technology opens the door to new kinds of devices, including those with wireless broadband technologies, which include 5G capabilities. Devices that offer 5G could allow companies to accommodate more cell users, provide faster data speeds, and cover larger areas. The new ICs also have applications in the biomedical field, where epidermal electronic systems could allow health care providers to monitor their patients wirelessly.